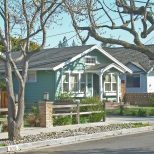 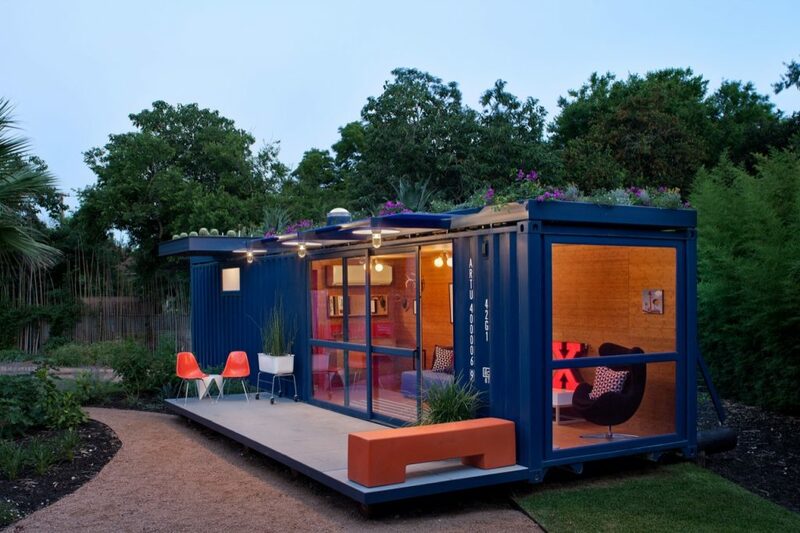 To the construction industry, shipping containers are simply a cheap, prefabricated building material. 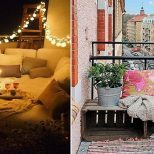 But when put into the hands of a creative designer, they become the coziest of homes. 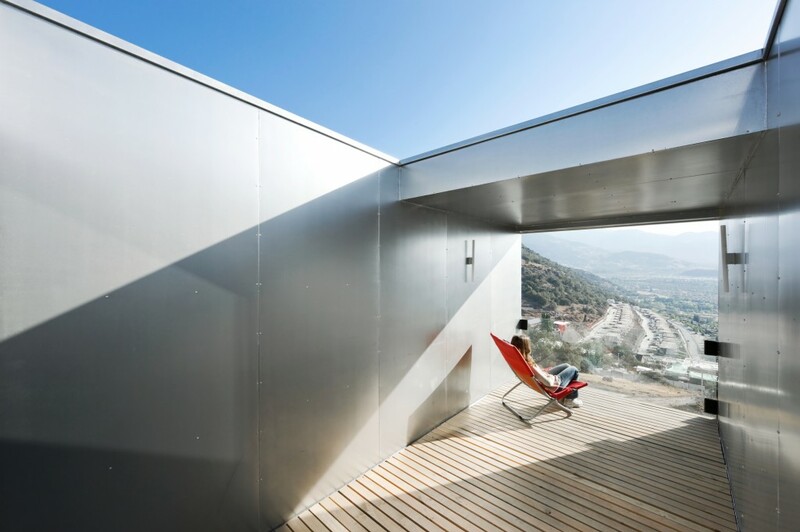 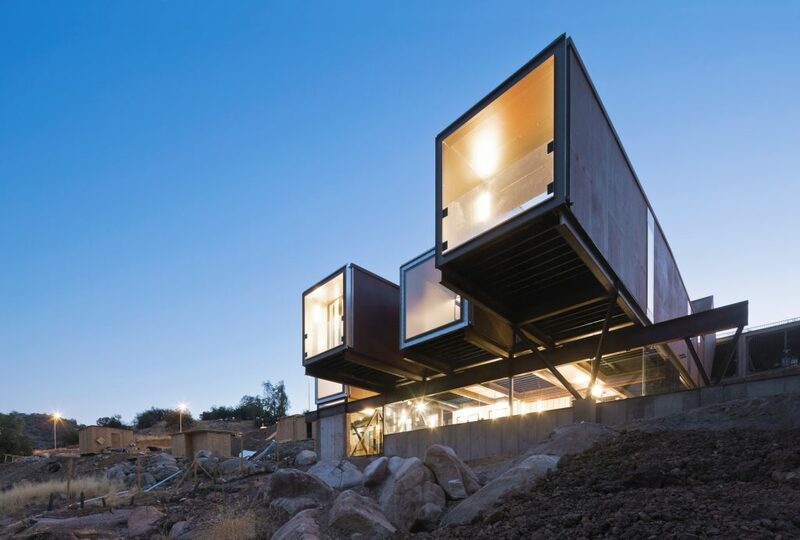 Sebastián Irarrázaval’s prefabricated Caterpillar House was designed and built for an art collector and his family on the outskirts of Santiago, Chile. 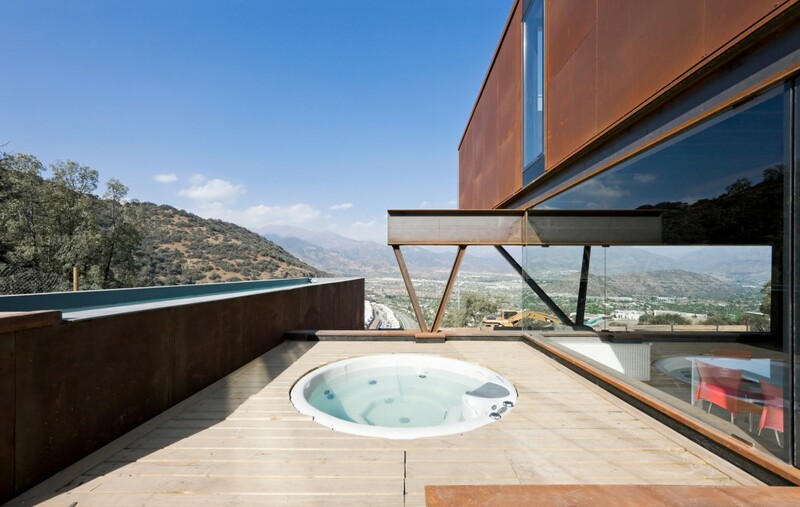 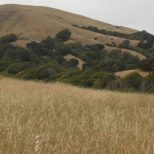 It has everything from massive mountaintop views to hot tubs and rooftop decks. 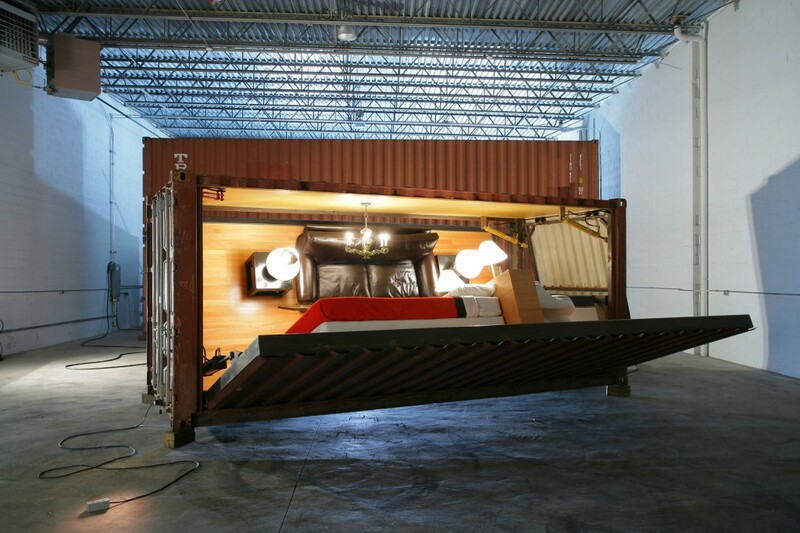 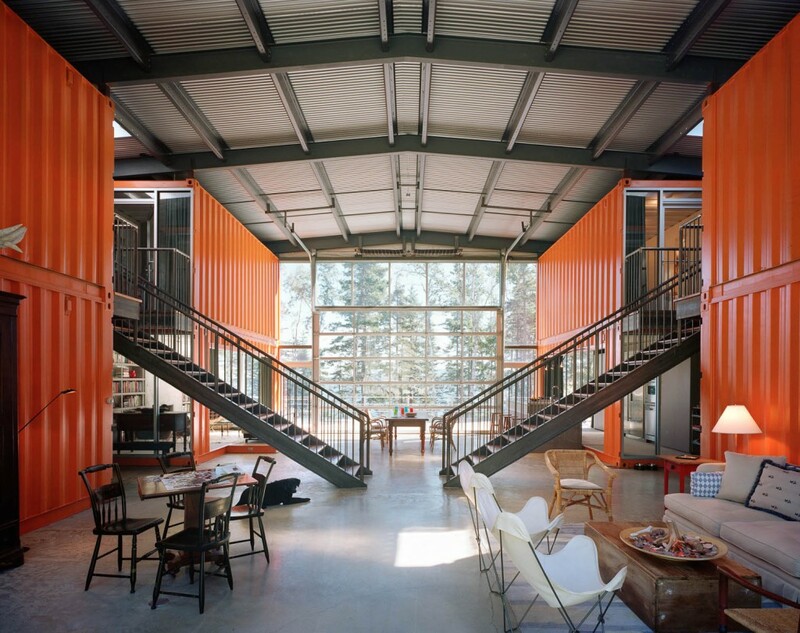 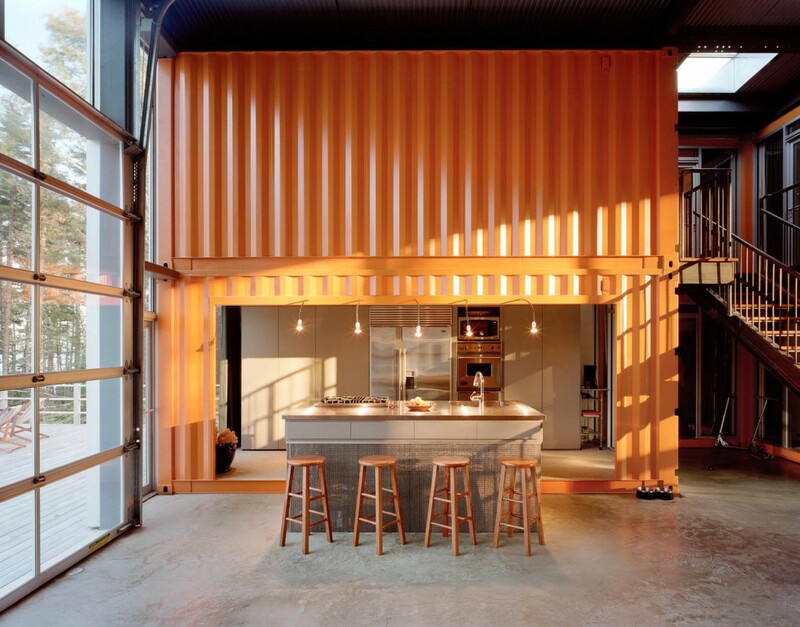 Adam Kalkin created his 12 Container House by stacking and organizing a dozen orange shipping containers into a T-shape. 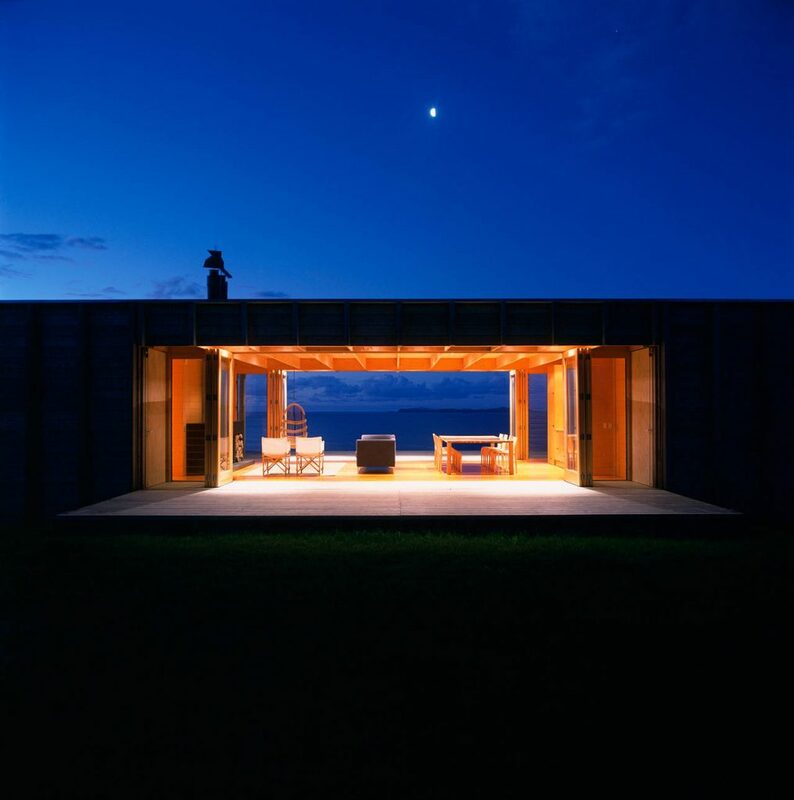 Set on a rocky peninsula in Maine’s Blue Hill Bay, the expansive structure can be rented out from June to October for anywhere between $6,000 and $10,000 per week. 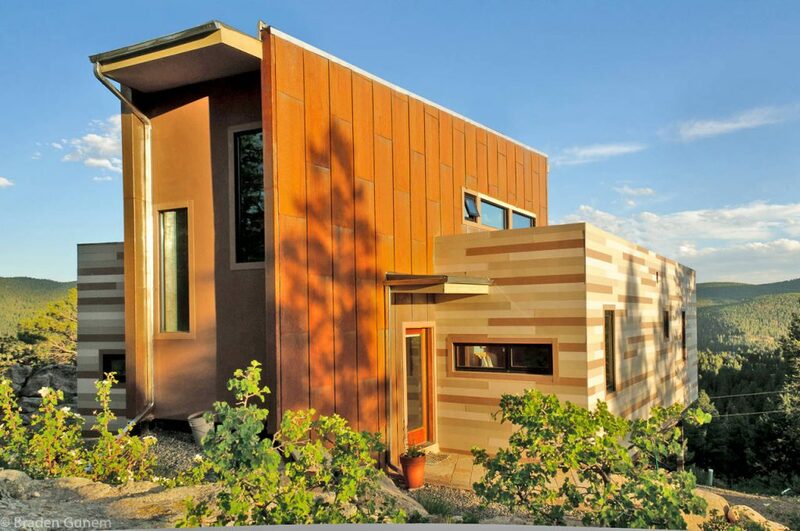 Another Kalkin creation, the Push Button House is exactly what it sounds like: A house that appears with the push of a button. 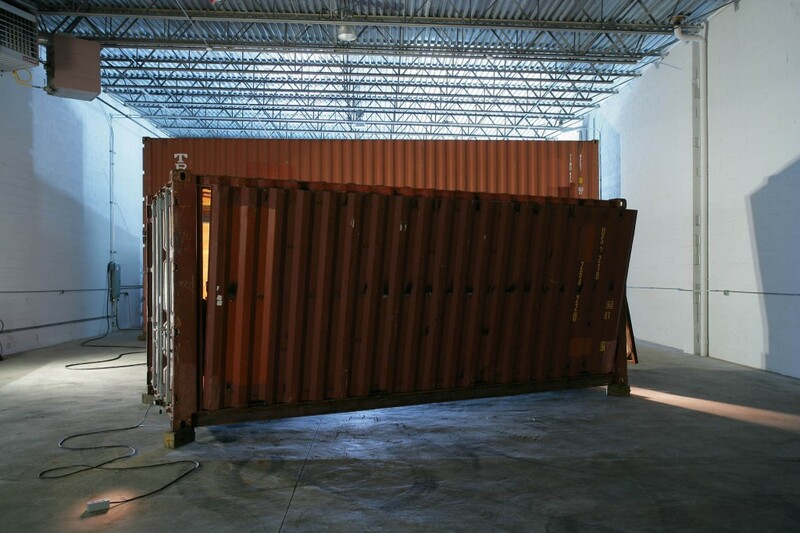 Motorized walls unfurl like draw bridges to reveal furniture secured to the walls/floor. 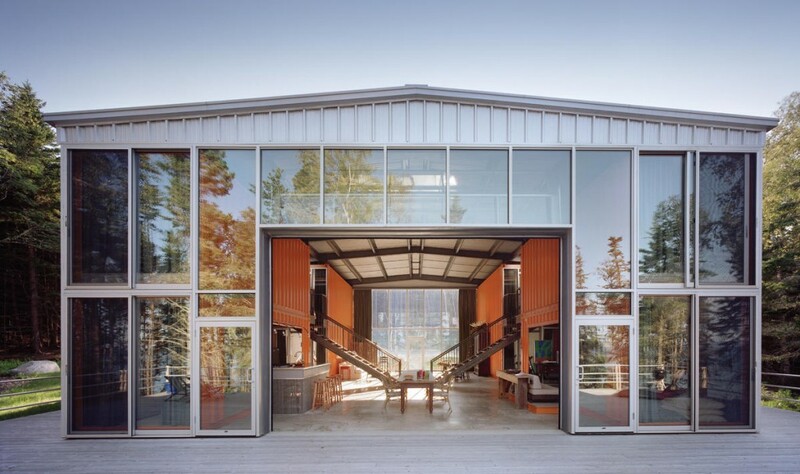 Architecture firm Tomecek Studio says this 1,517-square-foot cabin in Nederland, Colorado was an exercise in “reducing the average American home size.” The structure is made up of mostly recycled material including two shipping containers which straddle a large common area. 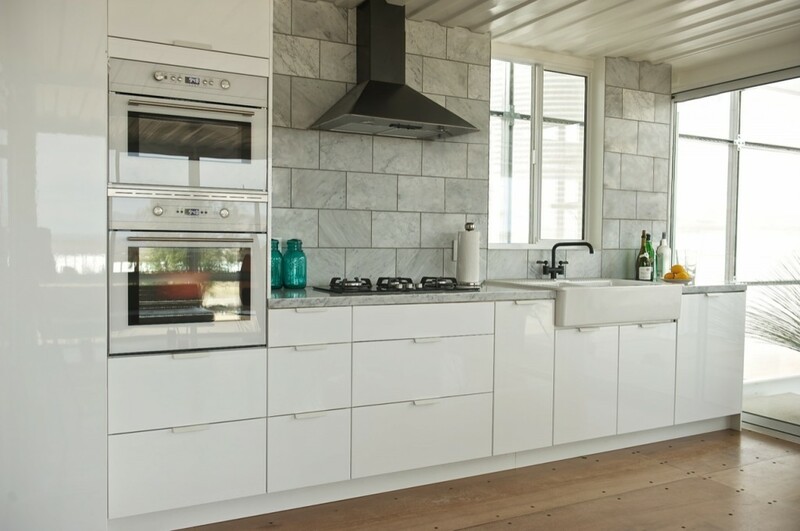 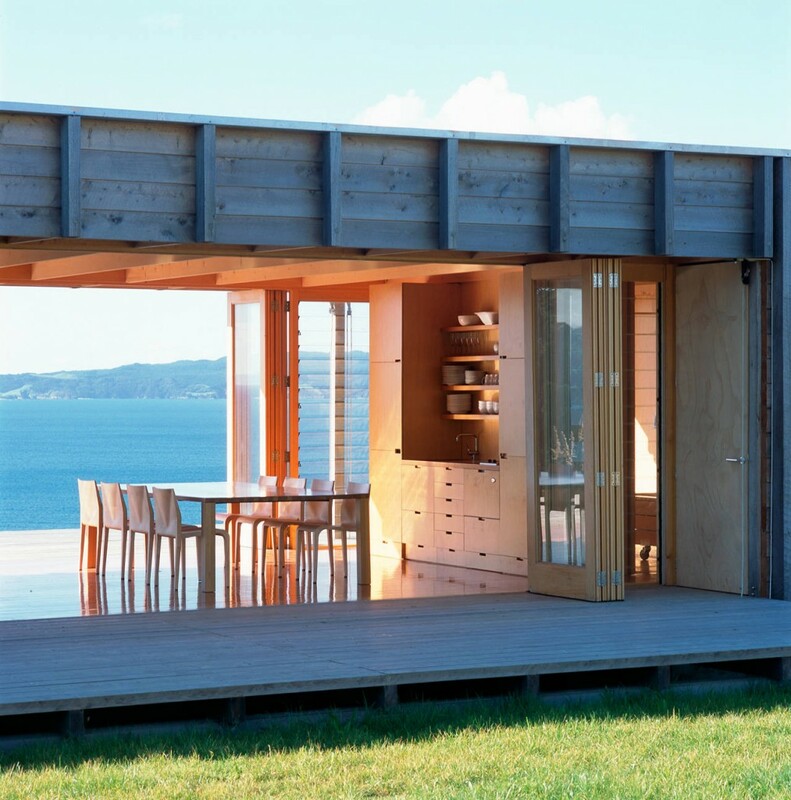 The open concept Coromandel Bach is a container home that reinterprets the New Zealand building tradition of crafting wood. 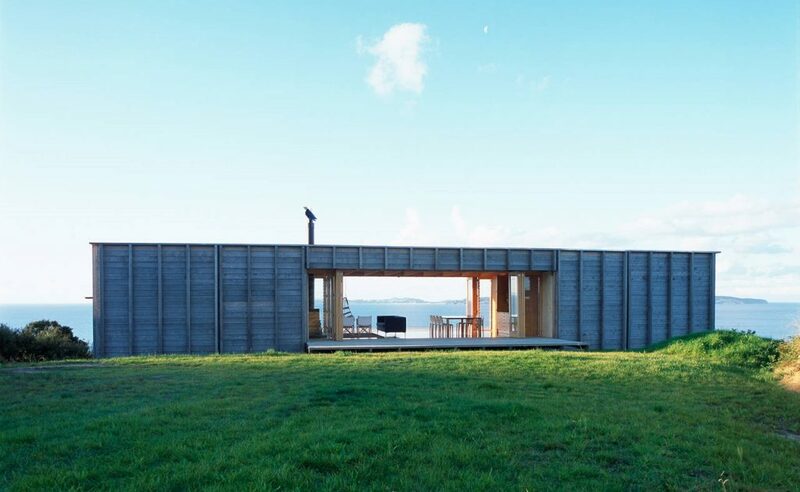 As you might have guessed, it is located on the North Island’s Coromandel Peninsula. 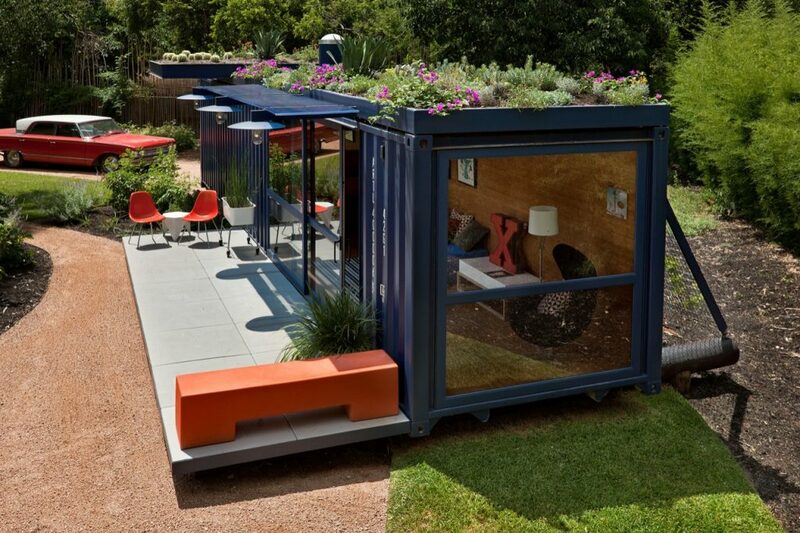 We can’t decide which feature of this container guest house we like more — the adorable green roof or retractable window wall. 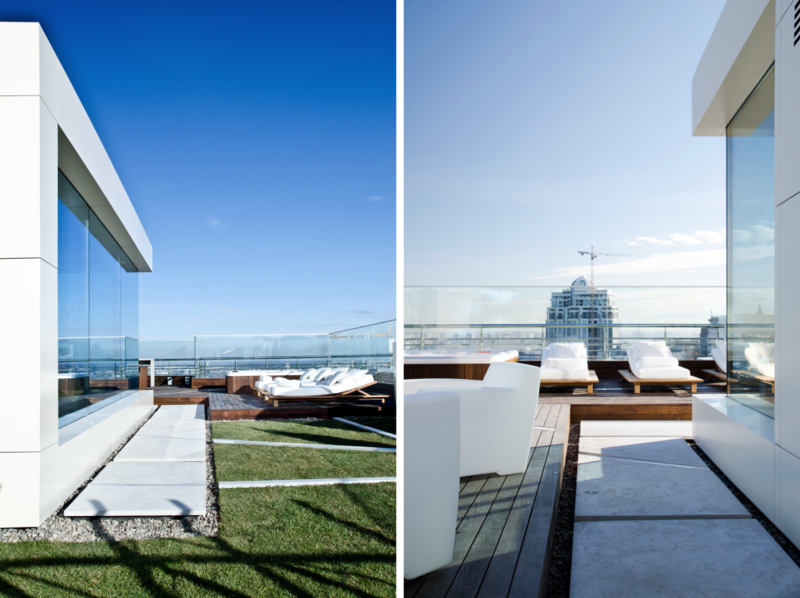 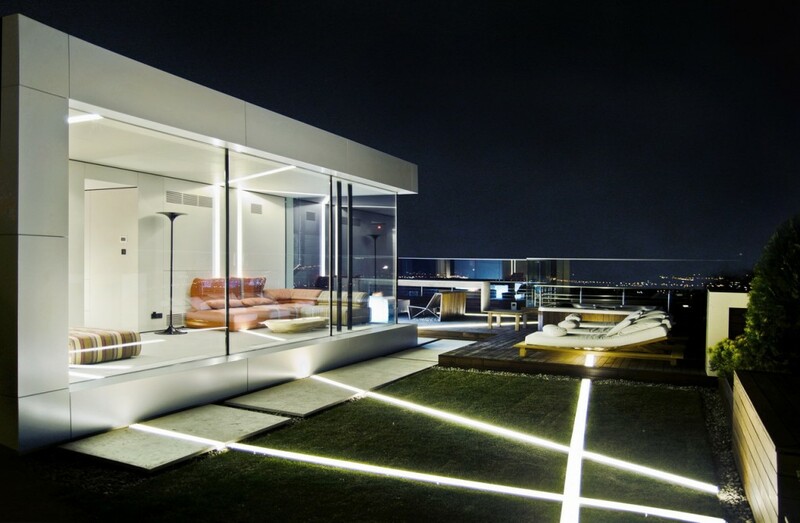 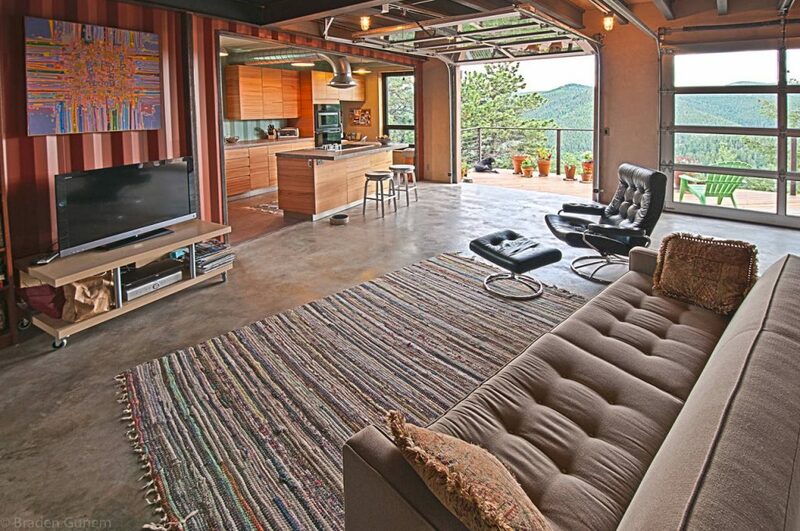 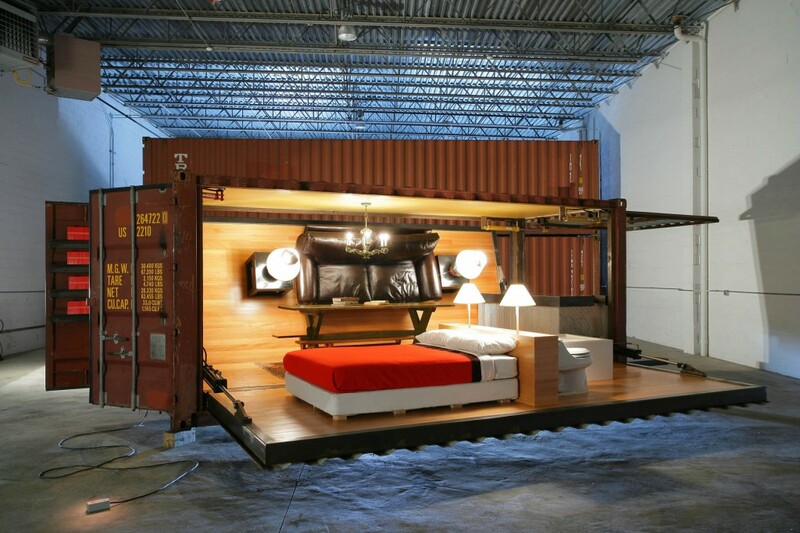 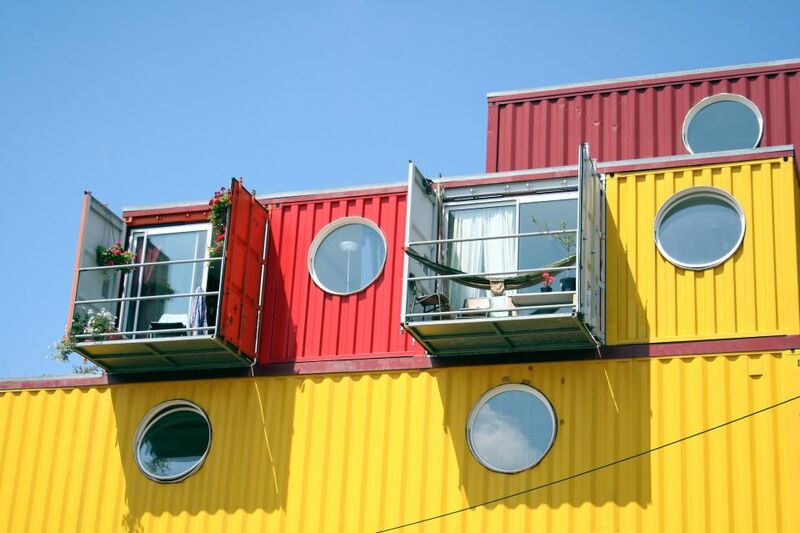 Marinka is a 4,000-square-foot, three-level penthouse made from concrete and shipping containers. 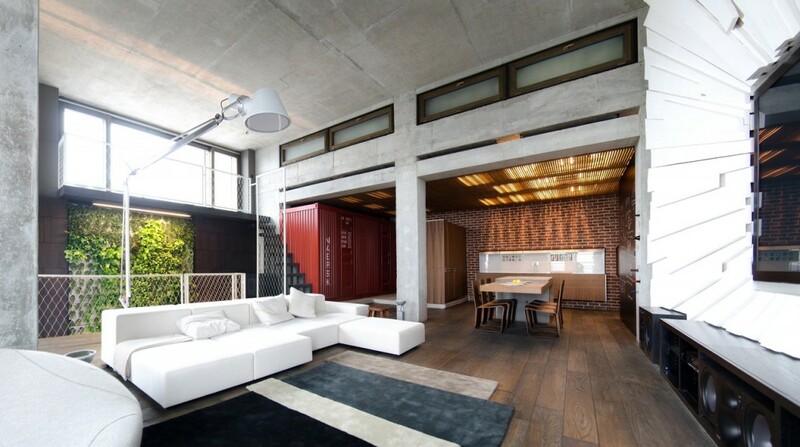 It was designed by 2B Group and can be found in Kiev, Ukraine. 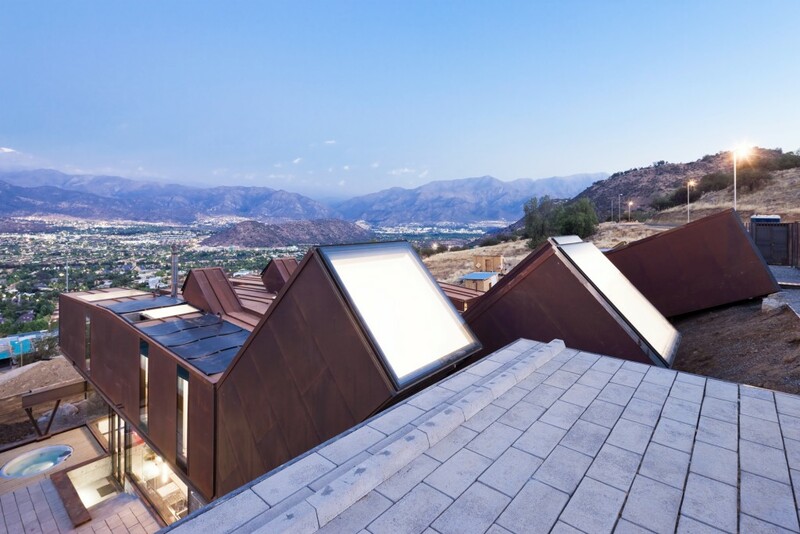 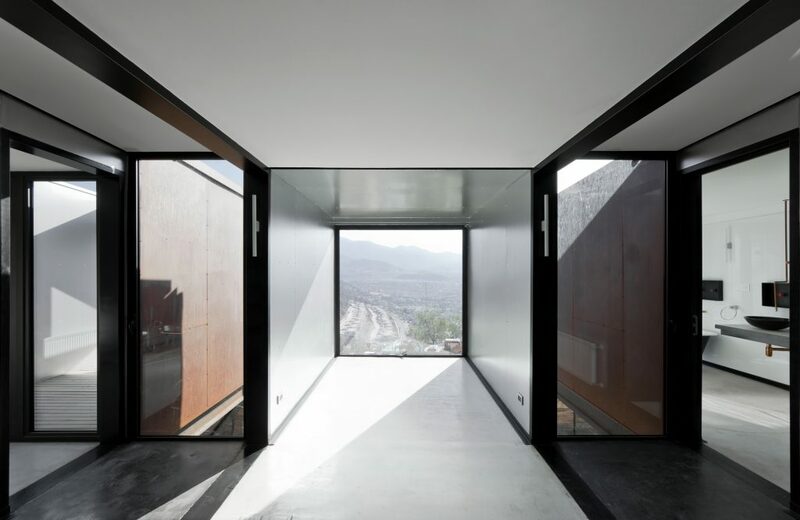 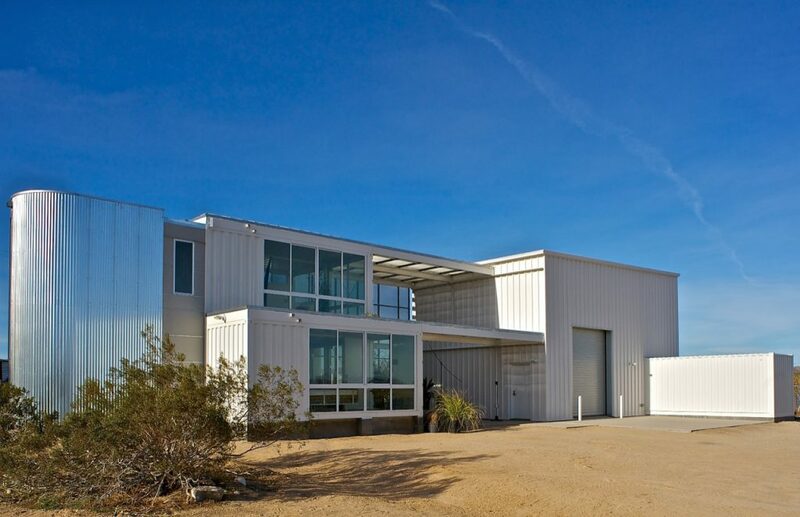 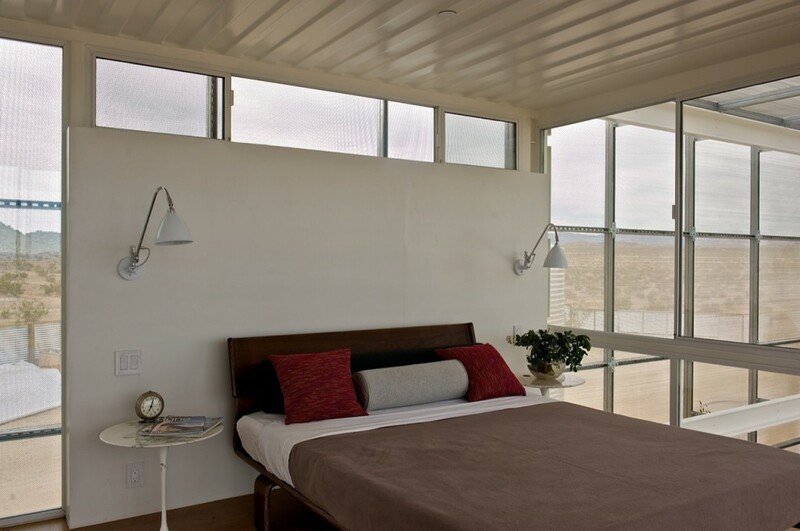 The Hybrid House, also known as the Tim Palen Studio at Shadow Mountain, is a working concept by ecotechdesign that consists of cargo containers and pre-engineered steel building components. 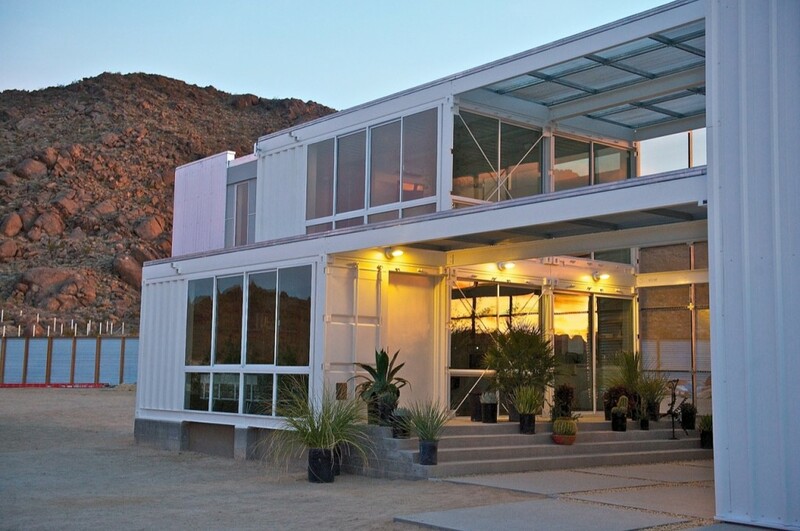 This particular iteration of the home is located in Joshua Tree, California. 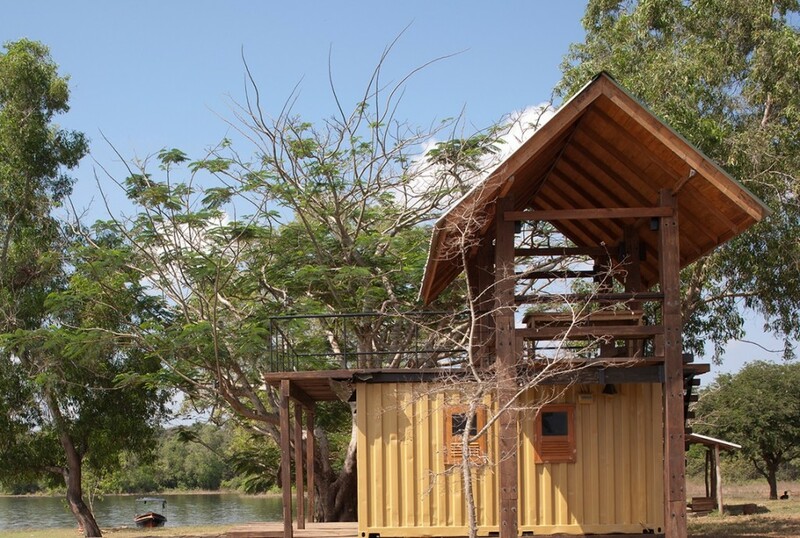 Holiday Cabana is a shipping container cabin in Sri Lanka’s Maduru Oya National Park. 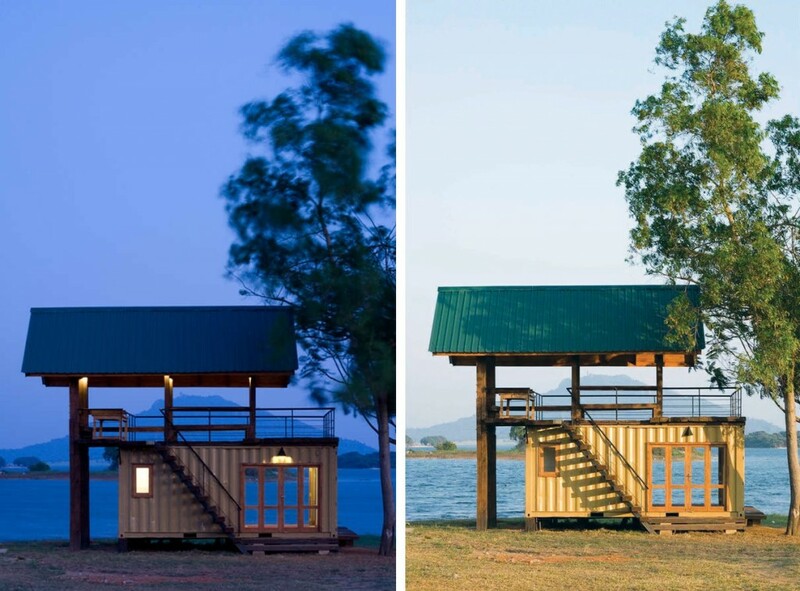 Designed by local architect Damith Premathilake, the structure is located on a lakeside army training ground surrounded by jungle and mountains. 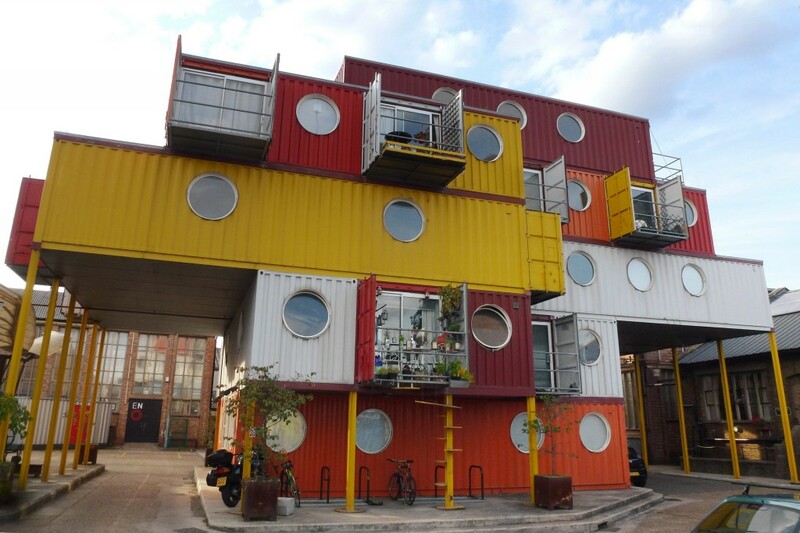 British development firm Urban Space Management specializes in converting old shipping containers into functional office and living spaces, such as the above apartment block in London, England. 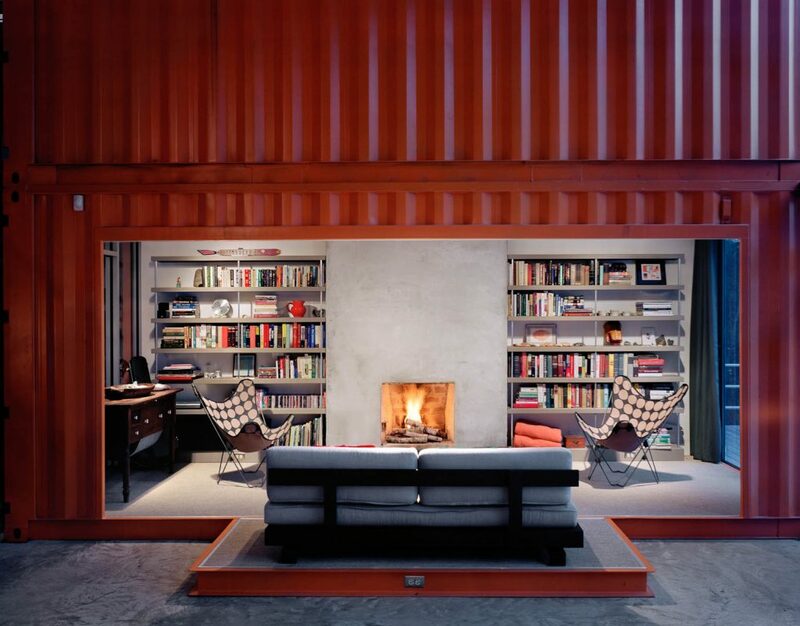 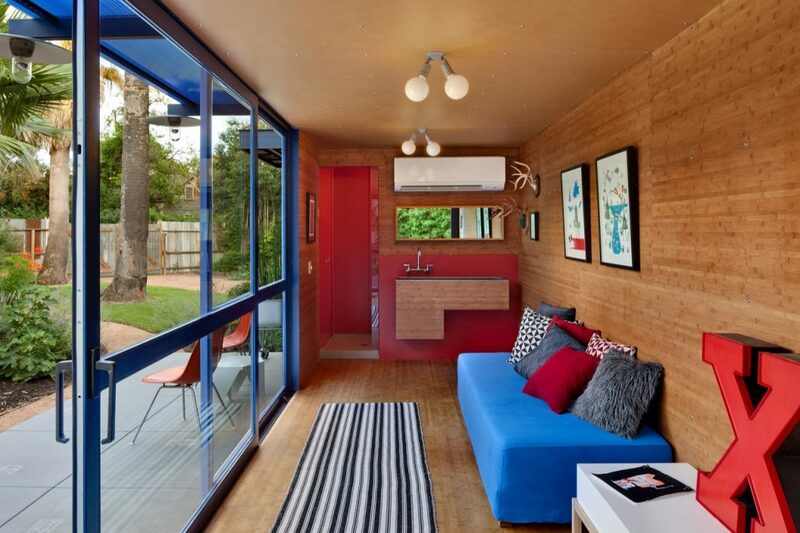 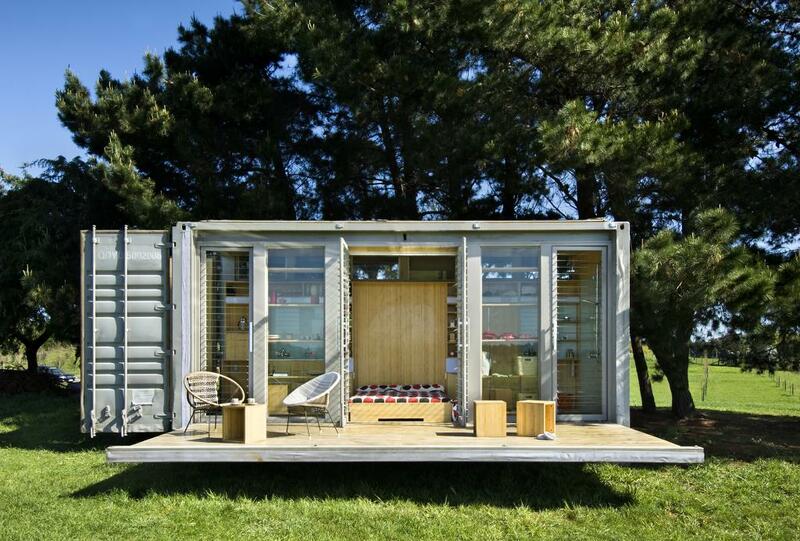 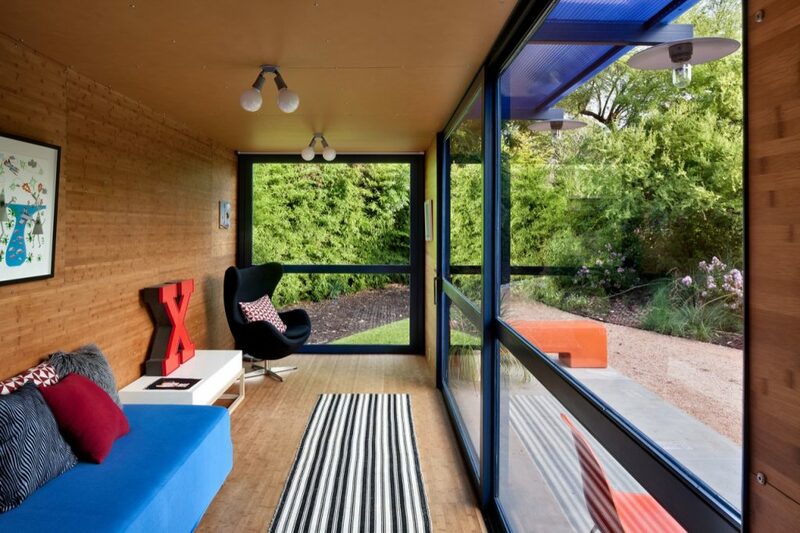 We’re not sure who came up with the idea to use the broadside of a shipping container as a retractable porch, but it’s brilliant and should be done in all such homes.